(PRLEAP.COM) TAMPA– Michael LaVoy, president, Beacon Asset Management (Beacon), a fee-only, Registered Investment Advisor (RIA) operating in the Carrollwood area of Tampa, Florida has published an article in the fall edition of the Carrollwood Village Views, a publication for homeowners in Northwest Hillsborough County. 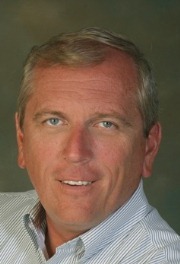 "As a Certified Financial Planner and Chartered Financial Consultant, my first recommendation is that you schedule time immediately with your financial advisor and tax preparer to rebalance your investments and evaluate your tax deductions based on current market conditions and/or predicted trends for 2014," wrote LaVoy. As well, LaVoy added, "…you should include your Certified Public Accountant (CPA) in your discussions to determine what kinds of gains and losses you have experienced in 2013 so that you can offset your gains, itemize eligible expenses for your 2013 tax return, and make additional tax deductible contributions between now and the end of the year. In a recent blog post on www.beaconria.com ,"Who's Zooming Who?" LaVoy identified one predictor of 2014 economic trends is the ongoing, sluggish job reports from the US Bureau of Labor Statistics. And while he said that high unemployment is a concern for many reasons, one trend to keep an eye on is whether or not the Fed continues its "bond buying program," which will signal whether or not the Fed will increase interest rates in 2014. Essentially, Mike LaVoy said he believes that in 2014, "…we will likely see more of the same with a few significant exceptions." One significant change that LaVoy advised investors to evaluate immediately is how they will plan, defray, and save for healthcare based on the implementation of the Affordable Care Act (Obamacare). With all of the confusion regarding mandated health insurance for all, taxpayers need to know that if they choose NOT to be covered by any health insurance, they will incur a penalty of 1% of their adjusted gross income in 2014. And LaVoy warned that in the wake of another "fiscal cliff," President Obama has proposed tax increases that will impact small businesses and individuals. Among those proposals are limits to the amount individuals can hold in their tax-preferred retirement accounts and The Buffett Rule or "fair share tax" where high net worth individuals will be required to pay at least 30% in taxes after their charitable contributions.